Latest Design Option 6, Photo 3 » Roger Perron Inc. In the rear of the home we added a deck and trellis system, which provides the owners with a great place for relaxation, outdoor meals, and entertainment directly off the family room. The deck and trellis system is made with Trex waterproof product, which requires no maintenance and yet looks like real wood, stained. 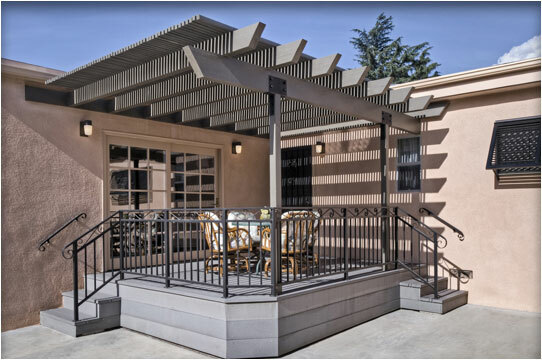 The Trex trellis has small gaps between the individual 2’’ x 2’’ slats, providing excellent sun filtering.